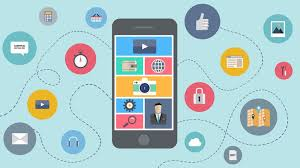 For adults with Autism spectrum disorders/conditions, there are a number of apps available, on iOS, Android and web-based platforms, that can assist with daily life, including work, study etc. Below is a list of some that we have come across, and found to be beneficial. HabitRPG Habit building and productivity app that uses gamification to motivate. Collect points for completing good habits and avoiding bad habits. Establish, track, understand, and be more mindful of your daily routine. Set goals for each of the tasks and habits that make up your day, and then track your completion of those goals. Can send you notifications to remind you to complete your goals, and provides a history view to review past days. Todoist Acts as a checklist, organiser, calendar, reminder and habit forming app. Can be shared with others for joint projects, integrated with other apps such as Dropbox and Alexa. www.todoist.com Free, premium versions available. Work Autonomy Designed to assist with person-generated communication with coworkers and supervisors regardless of linguistic or cognitive skill, tracking task analysis and work schedules independently, and allowing access to concrete information about work expectations, production etc. T2 Mood Tracker Designed to help users track their emotions over time. It comes with six pre-installed areas, including Anxiety, Depression, Well-Being, and Stress. Users can also add and customize additional scales. Miracle Modus Designed to help with sensory overload, by providing strong visual stimuli that move in predictable patterns. Sensory apps Range of sensory apps to help with relaxation and overstimulation. Relax Melodies Melody and white noise app. Headspace A meditation and mindfulness app. Designed to guide the user through narrated sessions to focus on relaxation and help cope with stress and anxiety. Please do let us know if you have come across others! This entry was posted in aids for daily living, App and tagged Adults, Apps, Autism by Juliann Bergin. Bookmark the permalink.